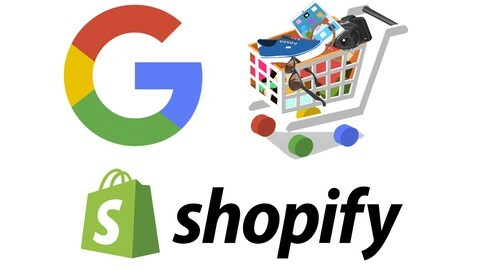 Google Ads Shopify Academy | Free eBooks Download - EBOOKEE! A step by step video course with Mentorship on how to setup and run Google Ads Profitably for your store. How to setup Google Ads the correct way so your ads are profitable and compliant (so you don't get banned). How to scale your campaigns using horizontal scaling and automated bidding strategies. 2: Store compliance | How to setup your account to make sure your Google Ads account doesn't get suspended or banned. 10. Google Ads Remarketing | An entire module dedicated to setting up and running dyanmic re-marketing ads that are based off your product feed. 11. Ongoing updates | If you want to learn more about a certain topic just let me know and I can make new videos on it. My Target Students are who are running eCommerce Business like Shopify Store, and they need to make huge sales with Google Shopping Ads. No comments for "Google Ads Shopify Academy".